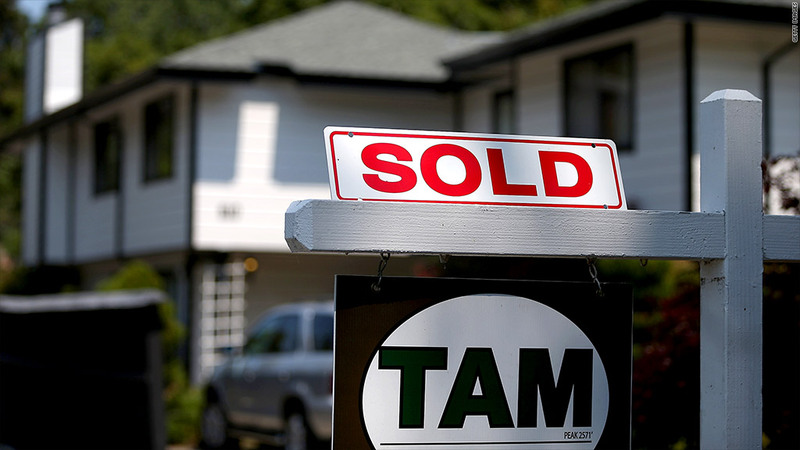 Sales of existing homes stumbled in June after hitting a 42-month high in May. Sales of existing homes stumbled in June after hitting a three and a half year high in May. The number of sales dipped 1.2% to an annual rate of 5.08 million in June from a downwardly revised 5.14 million in May, according to the National Association of Realtors. However, sales were up 15.2% compared to June, 2012. Rising mortgage rates may have taken some of the steam out of the market, according to NAR's chief economist, Lawrence Yun. "We're still dealing with a large pent-up demand," he said. "However, higher mortgage interest rates will bite into high-cost regions of California, Hawaii and the New York City metro area market." A lack of inventory is also holding sales back. In some places, buyers simply could not find suitable homes. In June there was a 5.2-month supply at the current sales pace, down 7.6 percent from a year ago. "Inventory conditions will continue to broadly favor sellers and contribute to above-normal price growth," said Yun. Indeed, the median home price jumped 13.5% from June 2012, to $214,200, posting the 16th consecutive month of gains. The ongoing drop in foreclosures and short sales has helped contribute to home price gains. Distressed sales accounted for just 15% of all existing home sales in June, compared with 18% a month earlier. That's the lowest market share for distressed properties NAR has reported since it began tracking them in October 2008. Distressed properties generally sell at substantial discounts to conventional homes, so having fewer in the mix helps boosts the median home price.